Based on customers’ requirements and specifications, information share between smart lithium battery pack and host devices can be achieved by integrating smart battery fuel gauge of communication protocols, lithium battery and safety protection performance into solution. In this way, reasonable, efficient and safe battery management solution can come true. B.Structure design requirement: delicate appearance, water proof and shock proof. Use top-grade aluminum enclosure and aviation waterproof plug. 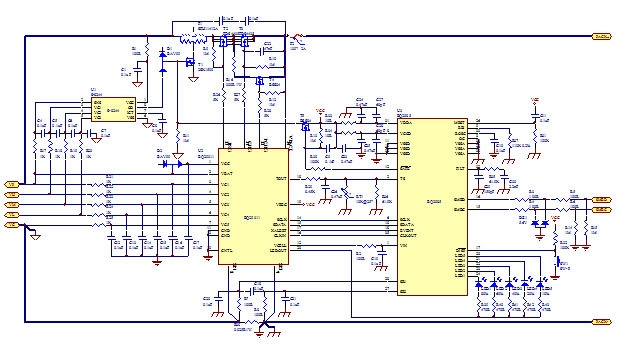 C.Circuit design request:precise capacity management and LED capacity display. At any time, efficiently manage the remaining capacity with solution of SBS smart battery management system. Accurately display the remaining battery capacity in percentage. A.Aluminum enclosure and bracket: as required, design delicate aluminum enclosure to fulfill waterproof, shockproof and fine heat dissipation under high current working condition. B.Smart fuel gauge PCM: under SBS smart battery management system, precisely calculate capacity, timely report capacity information to host device through SMBUS, and protect the rechargeable smart battery pack (generally refer to lithium battery). Because of chemical characteristics of lithium batteries, provide protection functions like, overcharge, over discharge, short circuit, over current, etc to avoid fire and explosion. C.LED capacity display board: through LED capacity indicator, visually reveal the battery capacity calculated by smart capacity gauge in 20% capacity proportion for the convenient use by customers. D.mainly target for secondary protection function. PTC can recover fuse and has dual functions of over current protection and auto recovery. PTC can avoid battery from over heat discharge and occurrence of unsafe high current. F.Special vacuum waterproof aviation plug: use vacuum waterproof connection on external battery to resist water.